Sean McGibney, studying Chinese & Spanish, undertook a placement with Leeds Empties this summer through the Leeds Internship Programme. In this post, written earlier this summer, he shares his experiences of looking for and ultimately securing, a placement. He has now completed his internship; you may also be interested in the post he wrote for Leeds Empties reflecting on his placement with them. It was the beginning of my second year in Leeds and I was only just coming to terms with a reading list that was longer than the receipt my friend John once got when he spent £150 in Aldi. A lazy summer spent achieving not a lot had long since blown the cobwebs back on to my unproductivity and the Chinese newspaper awaiting my attention in my first lecture looked less than appealing. Had I applied for any internships yet? I most certainly had not. The truth is, an internship did seem appealing – a chance to try out a field that interests you, whilst getting paid to build up your CV. It would certainly beat the repeats of Storage Wars and hours spent making cups of tea at my little sister’s toy kitchen that had filled my previous summer. My mind had drifted from the characters on the page but had settled – I would try to find an internship. It’s the realisation that a lot of second year students have: I’m doing well on my course and I’m likely to graduate with a good grade, but what else am I doing to set myself apart? Talking to some of the company representatives at a careers fair in October, one thing became clear: companies want candidates who have made the most of their time at university – and that doesn’t just come from a full time relationship with Level 11 of Edward Boyle. Over the coming weeks, I got more and more into the idea. I googled all of the big companies that I would like to work for and started applying to their internship schemes. If it’s not a process you’re familiar with, let me fill you in – it’s long and arduous and thinking back to it now makes my blood boil. If I had 10p for each time I was asked to list three times I have shown leadership in the work place, I’d have enough to buy a whole lot of Freddos by now. The impersonal process and the rejections that followed meant that I fast lost hope. During a chance meeting at a careers fair with one of the careers team, I learnt about the Leeds Internship Programme. 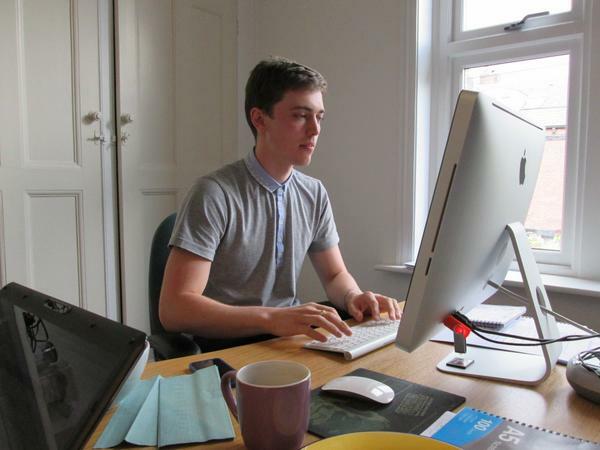 The Careers Centre works with companies in Leeds to provide paid internships during the summer. You can sign up to their mailing list so that each time a new internship becomes available you get an email with details of how to apply. Big companies are not the only option when it comes to applying for internships. Most applications require you to send a tailored CV and cover letter – much less painful than the process required by the big companies. The Careers Centre are, as ever, on hand to help with applications and I would strongly suggest you make the most of them during your time at Leeds. Be it through a skills-based CV or succinct cover letter, they will help you make your application stand apart from the crowd. I used the eGuidance service to check my CV and cover letter – I uploaded them both online for checking and a careers officer got back to me within 48 hours with suggestions and improvements. Again, if this is a service that you haven’t heard about, start using it! The Careers Centre also offer drop-in sessions Monday to Friday 9am-4pm for those of you who are around on campus. I was fortunate enough this year to secure an internship with Leeds Empties, a local social enterprise that works to bring empty properties in Leeds back into use (follow us on twitter @leedsempties!) Now into my fifth week, my time so far has been so valuable. I love that I am doing something completely different and learning something new every day – especially about a side to Leeds I have never seen before. A completely different city during the summer, the streets are quieter and the university is free from all the hustle and bustle that would normally surround a 9 o’clock lecture as I cycle to work each morning. I even managed to pick up 4 Sirloin steaks for £10 from Sainsbury’s last week – I think they were just glad of the summer custom! Be sure to sign up for the Leeds Internship Programme and make the most of the help offered by the Careers Centre. A summer internship will not only help you stand out when it comes to applying for graduate jobs, but will also hopefully give you a push in the right direction to choosing which career path you want to take. Have you applied for any internships yet? If you are looking for a placement, internship, or any other form of work experience, we are here to help you. We have lots of useful advice and information on our website, and you can also talk to us for tailored advice or attend our upcoming events. Taking a look at other posts in the work experience category should also be useful.